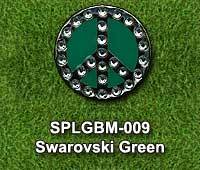 Miss the good old 60's? 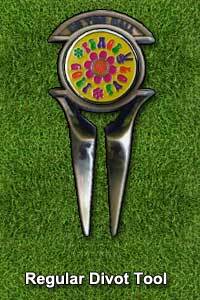 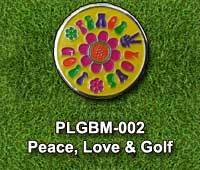 Take your memories of the love and peace era to the golf course with our Peace Love & Golf themed divot tool. 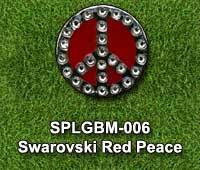 Select one of our regular or Bling Peace & Love themed ball markers shown then select either a regular or clip-on/club rest divot repair tool. 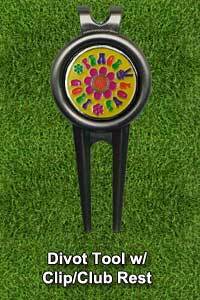 The ball marker fits right in the divot repair tool for easy access. 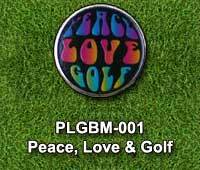 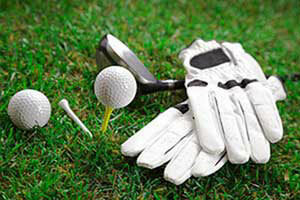 Multi coloured Peace Love Golf wording on a black background. 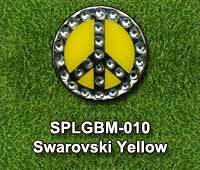 Peace Love Golf wording on a yellow ball marker complete with a finger peace sign and flowers. 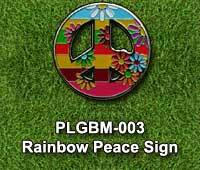 Multi coloured striped cut out peace sign ball marker with different coloured flowers. 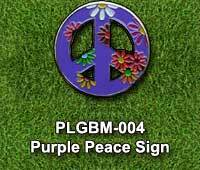 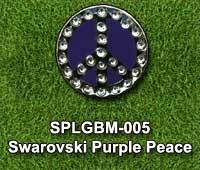 Purple cut out peace sign ball marker with different coloured flowers. 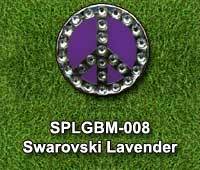 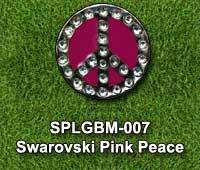 Purple, red, pink, lavendar, green or yellow background ball marker with Swarovski crystal bling peace symbol and border.